When it comes to pickups, Ford’s F-150 Raptor is usually the undisputed off-road beast with a bed. For the 2019 model year, it’ll be receiving a few significant upgrades to make it even more dirt hooning worthy. Thanks to new Fox Racing Shox that features electronically-controlled Live Valve technology, the new Raptor will be constantly adjusting the damping force in real time. While fundamentally similar to the Fox Racing shock absorbers already in use by the Raptor, this new system uses additional ride-height sensors that are installed at each front wheel and the body. Information gleaned from the sensors are used to maximize “comfort, handling and bottom-out resistance”, says CarScoops. So don’t hold back you trail chasers, else why would Ford give you a Jump mode? Expect to see the new and improved 2019 Ford F-150 Raptor on showroom floors in the fourth quarter of this year. 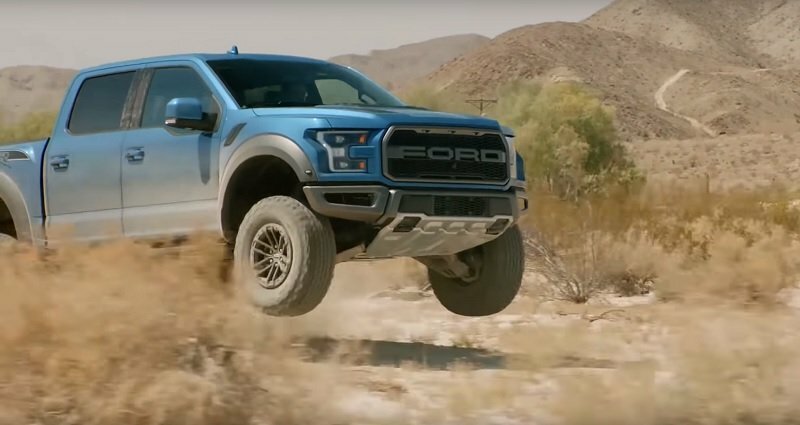 I need a journalist to test the 2019 Raptor out and constantly jump it just to test the Jump mode! We do see a lot of videos of people running over dirt bumps at full tilt but I didn't think Ford would actually pay enough attention to cater to them. In order to be able to post messages on the Ford Raptor Ecoboost Forum forums, you must first register.